I'm pretty traditional when it comes to Halloween Costumes. That's why I was so surprised at all of the adorable costumes available at Party City. I definitely knew they had all the latest superhero, popular movie, and cartoon character costumes covered, but what really impressed me were how many choices they had for cute traditional Halloween costumes and modern spins on these classics. Their costumes have so many adorable details that really give homemade costumes a run for their money. Here are my top four favorite Halloween Costumes from Party City. 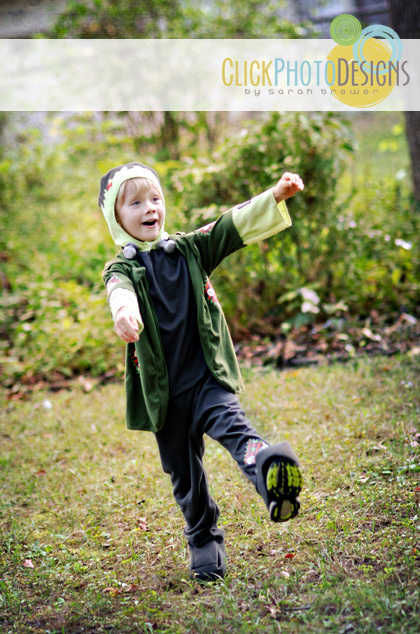 Isn't this the sweetest costume ever?! 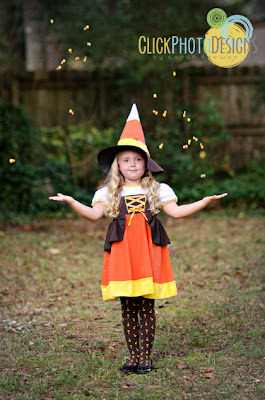 I absolutely L-O-V-E candy corn, so when I saw Party City had a candy corn witch costume, I fell in love all over again! 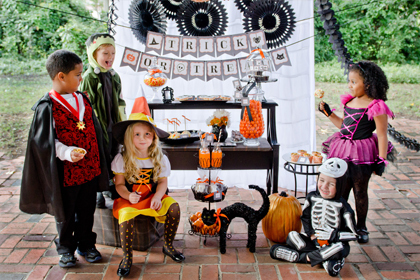 In fact, my decision was actually pretty hard because they have lots of different candy corn witch costumes to choose from if you can image that. The little candy corn tights that come with this costume and the lace detailing around the sleeves made me glad I chose this one, and as you can see, Lauren had a great time wearing it. So precious! When your husband stops in the hall to comment on how "cool" a skeleton costume looks just hanging on a hanger, you know you've picked a winner! Lawson looked so stinking cute in this little costume, too...I just can't get over it! 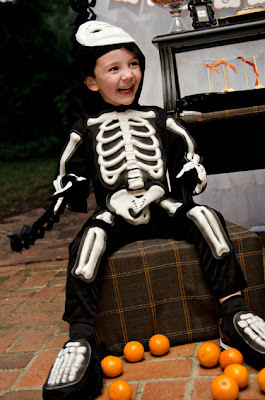 He was totally excited about wearing this again for the real Halloween, too...trust me, I got a big thank-you hug. The little bones had really cool airbrushing detail on them, and the little gloves and shoe covers that are part of the costume really complete the look. If you're little one doesn't like wearing the mask over his face, it makes a great hat that looks just as cute. When I saw this costume, I knew I had to have it. I loved it in the photos, and then when I saw it in person, I was pleasantly surprised with the little Frankenstein design details on the neck screws...I'm a sucker for attention to detail like this. I just love how cute Ethan looks doing his Frankenstein walk in this photo, too! Another detail I like about this costume was how the little pants had shoe covers built in, so you don't have to worry about matching shoes. Here's another cute Party City spin on a traditional black cat costume! 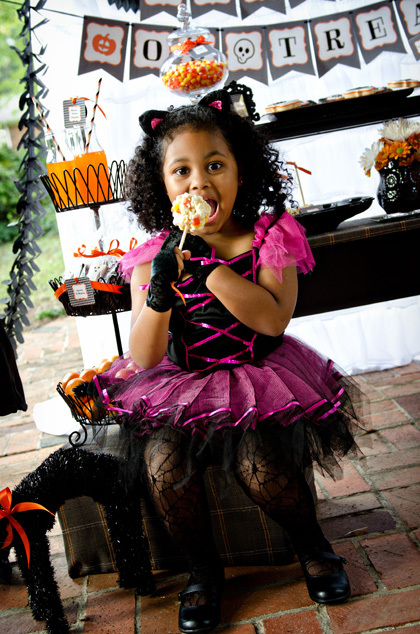 What little girl wouldn't love to get dressed up in a tutu with frilly sleeves?! MyAsia looked so precious in this little outfit, which had a really pretty sequenced bodice, too. You'll need to get your own tights for this one, and Party City has lots of fun ones to choose from. We picked these little spider web tights that would be fun to wear under skirts and dresses all October long. Definitely check out Party City for your costumes this year. I think you'll be pleasantly surprised at the variety and styles. And, if you sign up for their email list, they send out lots of great coupons. 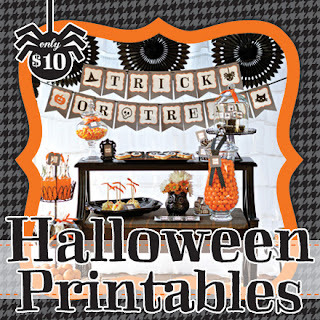 To see more of my favorite Party City costumes and decorations, check out this Pinterest board I created to help me select items for this Halloween Party Inspiration Photo Shoot with Click Photo Designs by Sarah Brewer, who took all of these awesome photos, and Tickled Pink Cookie Boutique. See more Halloween Party Photos and Ideas. 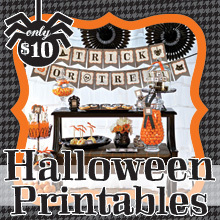 And, don't forget to order your Eerie & Cheery Halloween Printables! 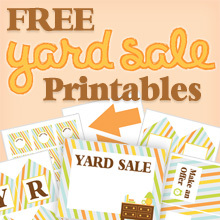 You get a banner, favor tags, cupcake toppers, candy bar wrappers, and more for only $10.